James McBride’s memoir, The Color of Water, (Riverhead, Penguin Books) is an American classic, and is required reading in high schools and colleges across America. It has sold almost two million copies worldwide, spent more than two years on the New York Times bestseller list and is published in more than 16 languages. 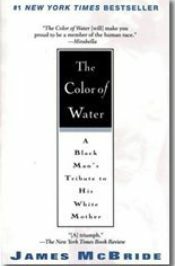 The Color of Water is a perennial favorite of book clubs and community-wide reading events, including New York City and Philadelphia. It is the story of his widowed, white, Jewish mother who raised 12 black children in New York City and sent all to college and most to graduate school. As a musician, James has written songs (music and lyrics) for Anita Baker, Grover Washington Jr., and Gary Burton, among others. He served as a tenor saxophone sideman for jazz legend Little Jimmy Scott. He is the recipient of several awards for his work as a composer in musical theater including the Stephen Sondheim Award and the Richard Rodgers Foundation Horizon Award. His “Riffin’ and Pontificatin’ ” Tour, a nationwide tour of high schools and colleges promoting reading through jazz, was captured in a 2003 Comcast documentary. He has been featured on national radio and television programs in America, Europe, Australia and New Zealand. James is a native New Yorker and a graduate of New York City public schools. He studied composition at The Oberlin Conservatory of Music in Ohio and received his Masters in Journalism from Columbia University in New York at age 22. He holds several honorary doctorates and is currently a Distinguished Writer in Residence at New York University. He is married with three children. He lives in Pennsylvania and New York.